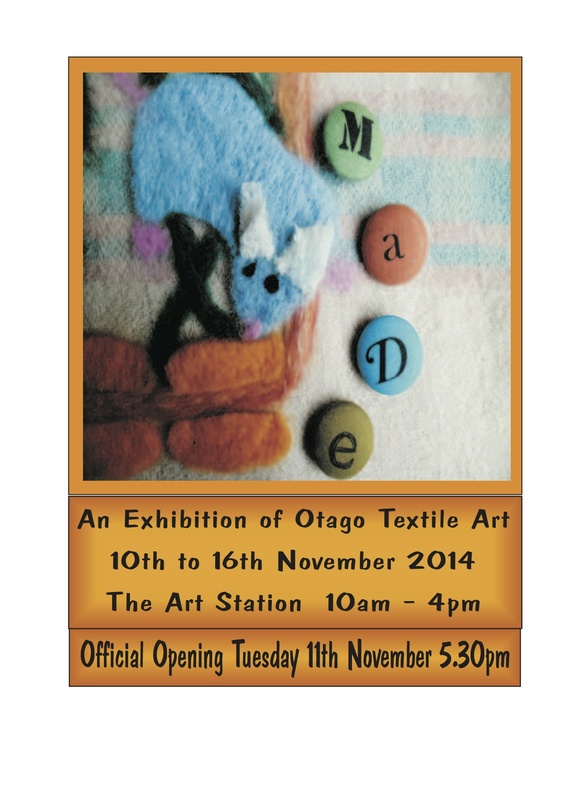 MADE: Otago Textile Art – November 10-16, Art Station (upstairs at the Railway Station), a group show including a range of work by makers of textile art in Otago. A parade of eco-couture designed by local teens, with a screening of the award-winning Bag It (2010) to follow. And the weekend after, it’s the Otago Polytechnic end of year excite student showcase. On Friday night, it’s the Collections show, highlighting the work of third year graduating fashion students, but also including standout work from the years below, and a selection of work by students from Shanghai University of Engineering Science / IFA Paris as part of the Shanghai Dunedin Sister City Fashion Communication Project. If you can’t make it to the show, fashion student work can also be viewed in the School of Design’s Debrief exhibition, 21-23 November. This entry was posted in Dunedin, Exhibitions, Shows, Students. Bookmark the permalink.